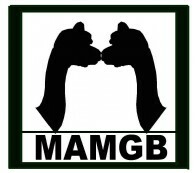 Huacaya Open Female Alpacas For Sale: Wisconsin, Waukesha: Greenbriar Farm - MAM Consulting Associates Inc. Retired after many quality cria. MAMGB PO Hinhanni "Misty Morning"
MAMGB Waktaya (Whak-Tay'-Ya) "Being Cautious"
Her fleece is like the hue at sunset. She has such a calm demeanlor. MAMGB Hanwachipi (Han-wah-CHI'-pee) "Night Dancer"